Barack Obama believes that 0.0004 mole fraction of an essential trace gas (which all life depends on) threatens the planet. Even if you subscribe to his mindless CO2 superstition, Obama already wrecked any prospect of a meaningful agreement when he agreed to let Chinese CO2 emissions grow until the year 2030. 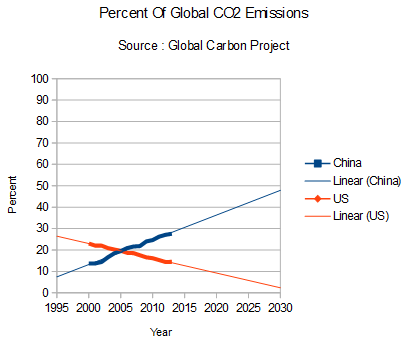 China is on track to be 50% of global emissions by 2030, and the US is on track to be less than 5% of global emissions. US emissions have been decreasing since George Bush was elected. Obama has had essentially zero impact on US emissions. The US has almost no control over global CO2. Obama’s EPA regulations and his fake Paris agreement are meaningless nonsense. They will have no noticeable impact on global emissions, which are increasing exponentially. As with everything else Obama does, the Paris Conference is just one more big lie. We may even talk about climate! WHAT !!! Don’t you start talking dirty here !!!! there should be no discussion, our glorious leaders have decided whats good for 97% of us. Who are we to question the superior intellects of climate experts such as O’Bummer, Camaloon, Algorithm & Pope-Paree; they’ve told us we are all doomed unless we cast away all our ill-gotten wealth & return it to them, via carbon taxes. I think we should also sacrifice our first born to atone for the sins being a denier & promise to never wear stockings again ! They’re so desperate, they are now talking in terms of limiting warming by 2%, not 2 degrees C. Well at least, that is what has been banded about in the British MSM all day! Where the hell did they get 2% from or did I miss something? And 2% of what ? What’s happened to the webcam? Earth’s average temp according to some is ~ 287 kelvin so that 2% is 5.74 K Since a degree kelvin is the same size as a degree Celsius that means we can increase the temperature by almost 8C! Looking at the above graph, I only see one spot marked “optimum,” and the temperature appears to be higher than today. Didn’t they tell us the current temperature is the optimum? Sorry, Ted you are correct almost 6C. And yes they do not know what “optimum,” means and are doing the usual Progressive Black = White, Slave = Free crap. 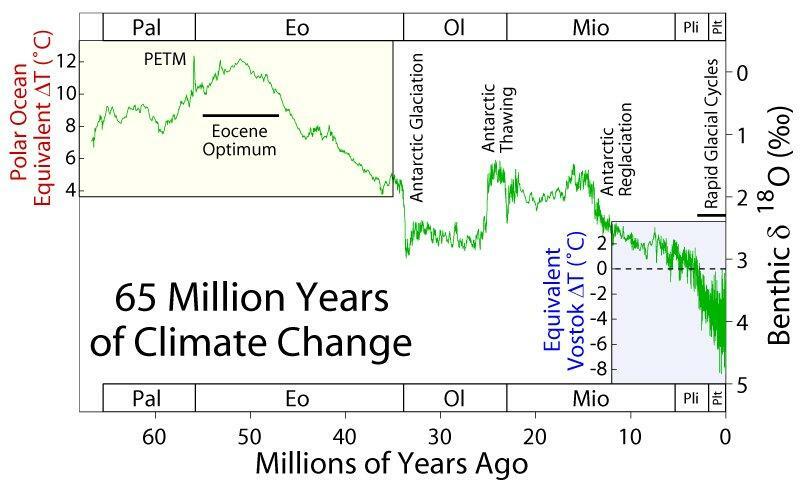 The early Eocene (Ypresian) is thought to have had the highest mean annual temperatures of the entire Cenozoic Era, with temperatures about 30° C; (earth is at 14° C today) There was a relatively low temperature gradient from pole to pole; and high precipitation in a world that was essentially ice-free. In other words a tropical rain forset type climate. The Eocene saw the appearance of a number of direct evolutionary ancestors of modern animals. Both groups of modern ungulates (hoofed animals) became prevalent because of a major radiation between Europe and North America, along with carnivorous ungulates like Mesonyx. Early forms of many other modern mammalian orders appeared, including bats, proboscidians (elephants), primates, rodents and marsupials. “About 9000 years ago trees reached the Arctic Ocean coastline and remained during the Holocene Optimum. As temperatures began to cool the trees retreated and are now several hundred kilometers further south. What do you find 9000 years ago? I think that is the case because of connecting absolute temp with heat quantity. Before the 13th General Conference on Weights and Measures (CGPM) in 1967–1968, the unit kelvin was called a “degree”, the same as with the other temperature scales at the time. It was distinguished from the other scales with either the adjective suffix “Kelvin” (“degree Kelvin”) or with “absolute” (“degree absolute”) and its symbol was °K. …engineers at Lockheed Martin have just announced a newly-developed salt filter that could reduce desalinization energy costs by 99 percent. “It’s 500 times thinner than the best filter on the market today and a thousand times stronger,” Stetson explained to Reuters. “The energy that’s required and the pressure that’s required to filter salt is approximately 100 times less.”…. 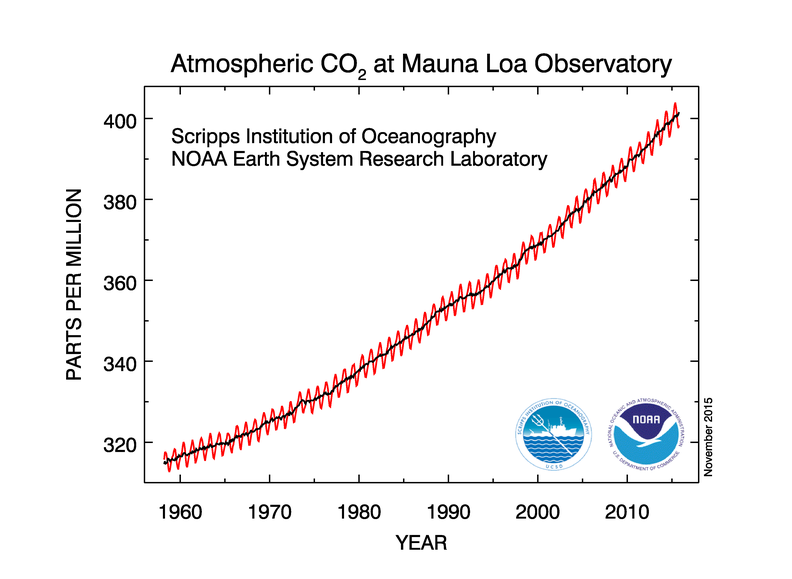 Just so long as we keep pushing the atmospheric CO2 content up. ! This is highly important for the continued existence of life on the planet. Andy I want to see 1500 ppm. During the last glaciation trees were in starvation mode. 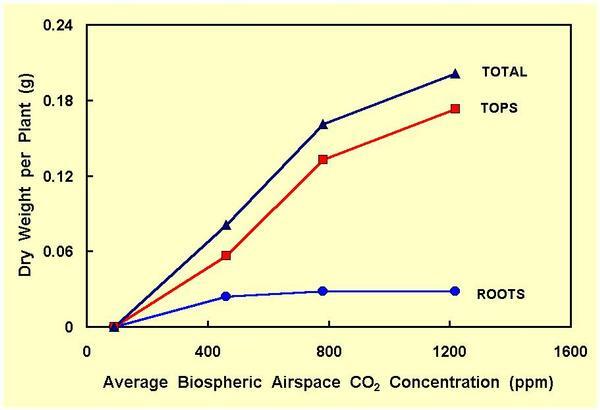 Unfortunately I don’t see how 1500ppm is possible, unless we use nuclear to break down carbonates in limestone etc. I don’t think there is enough known coal to do it. Gail, the frustrating part is that we have the technology to make the planet bloom and provide abundance for everyone. Sadly we allow ourselves to be ruled by sociopaths and sucked dry by parasites. Yes Jason, it is very very frustrating. Back in the 1970s we had the science and technology to help people help themselves. You do not have to jump them into the 21st century. Actually that is not a good idea at all. It is better to given them the tools they can understand so THEY can pull themselves out of the hole they are in. E. M. Smith has an article on a very simple set of changes that turn a starving family in a semi-arid area into wealth producers. 1. The Doctor started with the goats. Pen the goats! 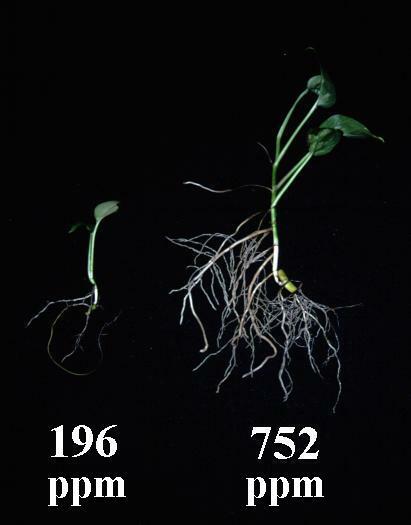 Now plants could grow without destruction. Plants shade ground and retain moisture. 2. Burning dung means it is not available to fertilize the ground. Nitrogen compounds burned up, instead of turned to fertilizers. Smoky fires causing blindness and pneumonia (among other things). Goat Poo is collected and, instead of burning it, fermented in an anaerobic digester (made of local materials – bricks in a hole in the ground, IIRC) and the resultant methane gas piped to the huts to a “stove”. The stove was made of dried mud. Little more than shaped mud where the methane from fermentation, “Gobar Gas”, was mixed with air in a very low pressure ‘jet’ and burned under a pot, that sat in a hole in the dried mud. There was a “clay” (dried mud) chimney that took the exhaust gasses out of the hut. The stove was maybe the size of a can of stew and the chimney about the diameter of your wrist. 3. In that open desert area, a special tree was planted. Leucaena leucocephala. A “bean tree” from Mexico. This plant, Leucaena, is rather “special” in several ways. First off, it grows incredibly fast. Second, is a nitrogen fixer. Third, it’s from a warm place where it can grow in areas with a lot of water, or not all that much. Finally, the pods and leaves are (marginally) edible. There is a toxic amino acid in the seeds that can cause “issues” for some animals. In Mexico, very young pods and shoots are cooked (which breaks down some of the toxins) and eaten. More importantly, as long as you give them time to have their gut flora adapt goats can eat the leaves. Oh, and they “coppice” well. That means if you chop of the main trunk, it resprouts many more trunks from that stump. Nice “poles”. So what do our Lord and Masters want us to plant? EUCALPYUS THE WEED FROM HELL! Eucalyptus trees are good for making paper. They are terrible for just about everything else – soil, insects, plants, and water. A paper company teamed up with ArborGen, a biotechnology organization, to genetically modify the trees to withstand freezing temperatures. The U.S. Department of Agriculture has just approved ArborGen’s request to plant various test forests across seven southern states. And not even a goat will eat it! DesertYote mentioned a science fair project he helped with. In the USA the only species that did well (as in thrived) under the gum trees was Toxicodendron diversilobum, western poison oak. It is even worse than poison ivy. …Now we just “tie it together”. The children, instead of chasing goats, collect small twigs and leaves and take them to the goats in the pens. (Dad can cut larger limbs). The larger limbs provide fuel wood. Except… we are using Gobar gas, remember? Initially there may not be enough, so some wood may be used as the goat herd builds up; but eventually that wood becomes a salable product. It can also be used in ‘light manufactures’, so folks can start businesses making things of it. 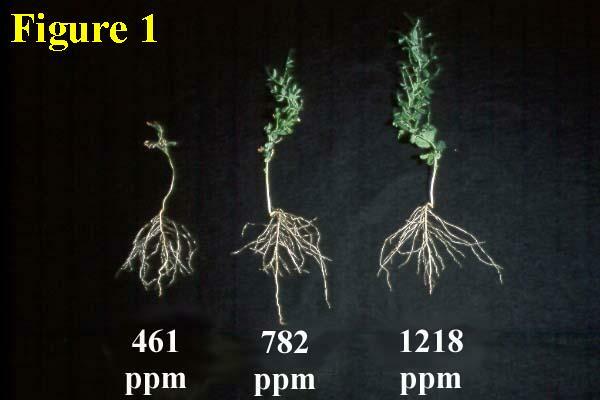 As the tree fixes nitrogen, soil improves. More grasses can grow under the trees. As the “fermented poo” makes for a great garden, and the goats are getting ever more ‘bean tree leaves’ and grasses, the village develops a surplus of vegetables, meat, and milk. As the women are no longer hunting for fuel, they turn these materials into more salable products. Cheeses, soaps, and fresh produce. Even jerky and fresh meat. A cycle of prosperity where before had been only desperation. The canopy of the ‘been tree’ shades the ground. Rains that fall do not evaporate. They act as a wind break. The soils do not blow away. The roots hold hillsides in place. Erosion is halted. Now the rains don’t run off, they soak in. Evapotranspiration from the trees leads to even more rains (water cycling). The “desert” turns first to “savanna” and eventually to “tropical forest” or “agroforest”. At that point, the cycle is complete. A desert eroding to barren rocky dry wasteland reverts to lush forest and grasslands. Poverty becomes prosperity. It really can be that simple…. Something extremely interesting is currently happening in Kenya. On the one hand, the country’s Environment Minister, John Michuki, has ordered the uprooting of eucalyptus trees from wetlands and banned their planting along rivers and watersheds. At the same time, well known Nobel Prize winner Wangari Maathai is calling for a ban on planting alien species and particularly eucalyptus, while experts from the Kenyan-based International Centre for Research in Agroforestry (ICRAF) raise the alarm on the “thirsty” nature of eucalyptus. The above assumptions were supported by a number of expert bodies and donors involved in the promotion of eucalyptus trees in arid and semi-arid areas in the country. We have a whole country full of them down here !! Do you want some more ?? RO filters are obsolete, actually. Rising global demand for potable water is driving innovation in water treatment methods. Shock electrodialysis is a recently proposed technique that exploits deionization shock waves in porous media to purify water. In this letter, we present the first continuous and scalable shock electrodialysis system and demonstrate the separation of sodium, chloride, and other ions from a feed stream. Our prototype continuously removes over 99% (and up to 99.99%) of salt from diverse electrolytes over a range of concentrations (1 mM, 10 mM, and 100 mM). The desalination data collapses with dimensionless current, scaled to charge advection in the feed stream. Enhanced water recovery with increasing current (up to 79%) is a fortuitous discovery, which we attribute to electro-osmotic pumping. The results suggest the feasibility of using shock electrodialysis for practical water purification applications. This is the type of research I like to see. 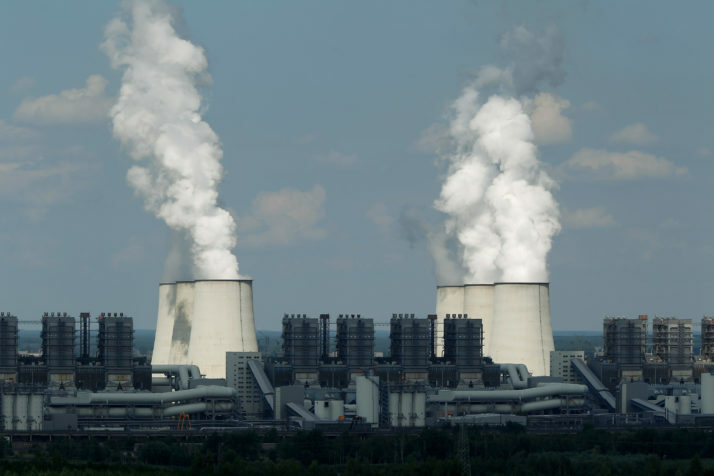 Once again an article about pollution or CO2 leads off with a picture of harmless steam being emitted from cooling towers. I get so sick of this never ending propaganda BS! If you don’t even know the fundamental mechanics of the emitters why should anyone that knows better take a word you write seriously? Details Details Details! Or is it blatant propaganda? Knowing POLITICO I suspect the later. Time Magazine was writing about why nutty people believe in nutty conspiracy theories, like global warming skeptics. The answer is extremely simple. We actually have looked at thermometer records, past and present. Not exactly a daunting talk, even for someone who is not a climate scientist! That is why geologists think CAGW is an absolute crock of pig feces unless paid well to think otherwise.